Nigeria's army claims to have freed more than 1,000 Boko Haram hostages, including women and children. The terror group, based in northeastern Nigeria, began an insurgency in Africa in 2009 with the aim of creating an Islamic caliphate. They have killed more than 20,000 people and forced two million others to flee their homes. Thousands have been kidnapped by the militants, according to aid groups. Now the Nigerian army has posted on their official Twitter account that captives have been rescued from the villages of Malamkari, Amchaka, Walasa and Gora. In a series of Tweets they wrote: 'Troops of 22 Brigade deployed in operation LAFIYA DOLE has rescued over 1000 hostages from the Boko Haram Terrorists enclave. 'The operation which was conducted in conjunction with allies of Multinational Joint Task Force (MNJTF), rescued the hostages from Malamkari, Amchaka, Walasa and Gora villages of Bama Local Government Area of Borno State. Boko Haram abducted approximately 270 children from the Government Girls Secondary School in Chibok, north-eastern Nigeria, in 2014. 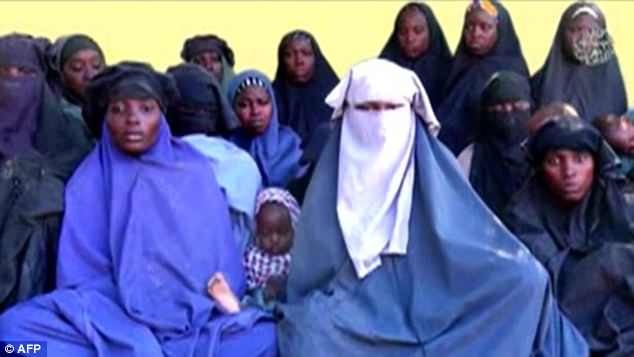 A chilling 21-minute video released by the militants in January appeared to show 12 of the missing girls. One wore a white niqab said they were 'never coming back'. In February this year the group abducted 110 schoolgirls in northeastern Nigeria - 101 were freed a month later following negotiations with the Nigerian government.